A district police chief says two police were wounded when they tried to defuse an improvised explosive devise found near a polling station in a northwestern neighborhood of the Afghan capital of Kabul. 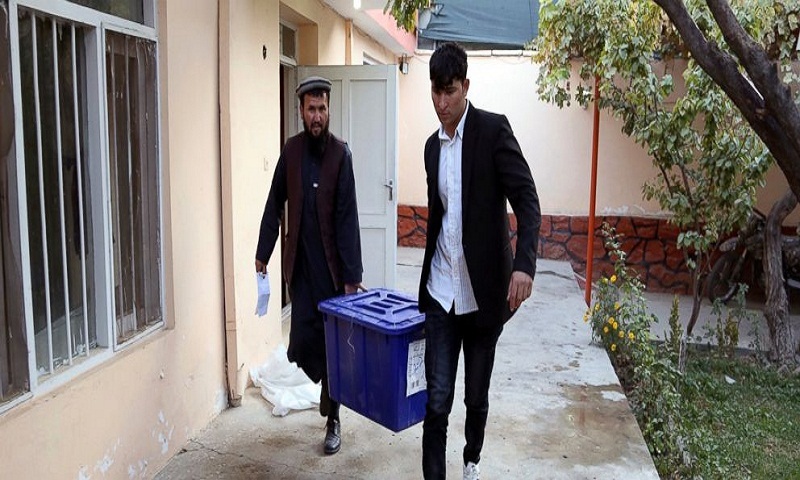 Khaled Haq Parast says two civilians were also wounded when the explosive devise detonated as voters were going to the polling station Saturday in Afghanistan's Parliamentary polls. Elsewhere in election day violence, Taliban fighters ambushed and killed four local police in central Ghor province as they were making their way to a polling center in the capital of Firozkoh, several hours after voting had begun nationwide in parliamentary elections, says Abdul Hai Khateby, spokesman for the provincial governor. Interior Ministry says it has increased its deployment of Afghan National Security Forces to 70,000 from a previous 50,000 military personnel across the country to protect the country's 21,000 polling stations. Interior Ministry spokesman Najib Danish announced the increased deployment without giving more details. Within hours of polling several minor incidences of violence had occurred as both the upstart Islamic State group affiliate and the Taliban have vowed to disrupt elections.